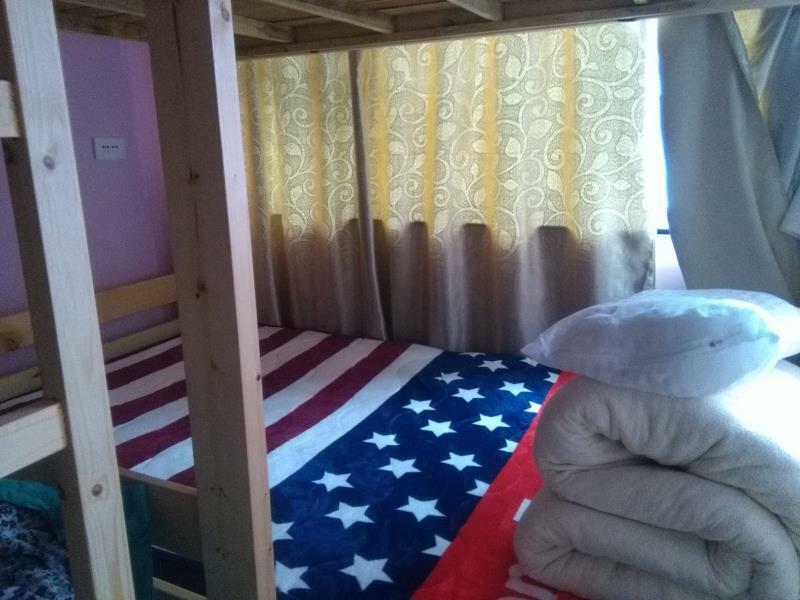 Ιδανικό για χαλάρωση και διασκέδαση, το Memory Hostel βρίσκεται στην περιοχή Κέντρο Πόλης Γκιλιν της πόλης Γκιλίν. Μόνο 20 km μακριά, αυτό το 3 αστέρων ξενοδοχείο είναι εύκολα προσβάσιμο από το αεροδρόμιο. Με την βολική του τοποθεσία, το ξενοδοχείο προσφέρει εύκολη πρόσβαση στους προορισμούς της πόλης που πρέπει οπωσδήποτε να δείτε. 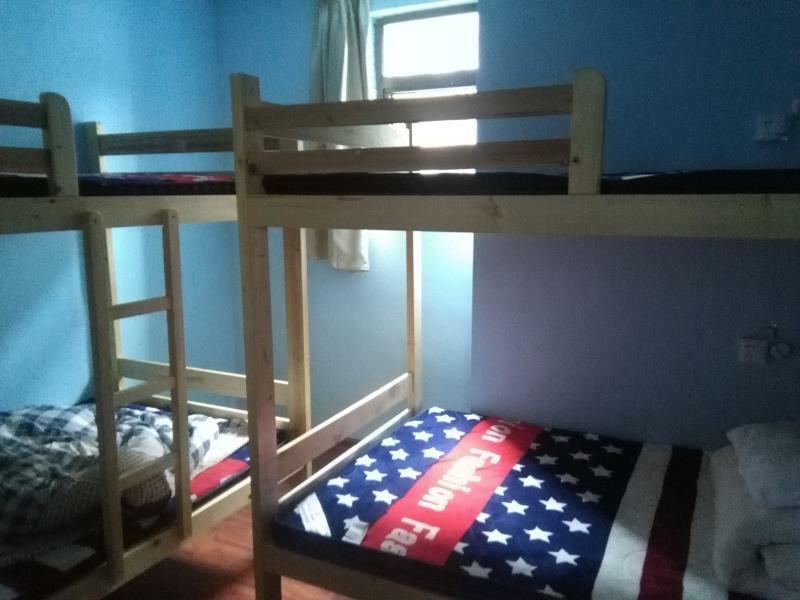 Το Memory Hostel προσφέρει άψογη εξυπηρέτηση και όλες τις βασικές ανέσεις στους ενθουσιώδεις ταξιδιώτες. Για να ονομάσουμε μόνο λίγες από τις εγκαταστάσεις του ξενοδοχείου, υπάρχουν τα δωρεάν WiFi σε όλα τα δωμάτια, 24ωρη φύλαξη, παρεκκλήσι, παντοπωλείο, ημερήσιος καθαρισμός. Όλα τα καταλύματα διαθέτουν τις απαραίτητες ανέσεις για να εξασφαλιστεί μια ασυναγώνιστη αίσθηση απόλαυσης. Κατά τη διάρκεια της μέρας μπορείτε να απολαύσετε την χαλαρωτική ατμόσφαιρα των μπιλιάρδο, αίθουσα παιχνιδιών. Το Memory Hostel είναι ο ένας και μοναδικός προορισμός για εσάς που ψάχνετε ποιοτικά καταλύματα στη Γκιλίν. 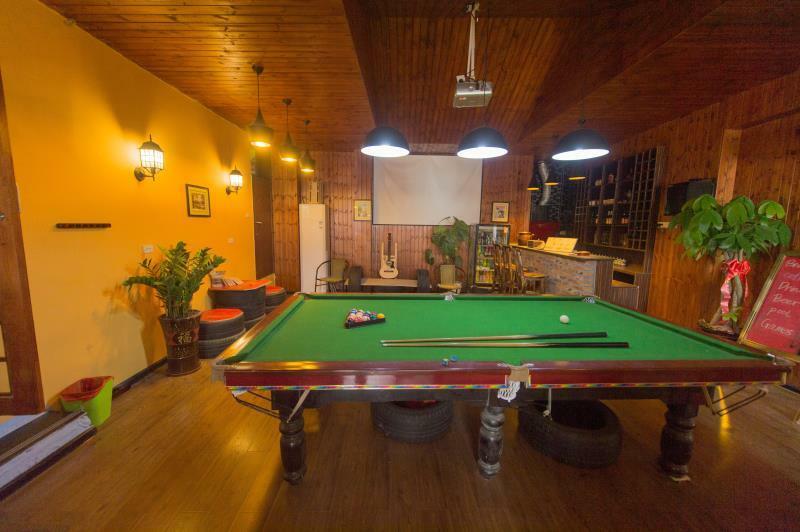 Located on the main street, this hostel was close to the shopping area and most of the scenic spots. Staffs were friendly and helpful. The room I stayed was clean, and the light was adequate. Would be better if they offered some toilet paper for dormitories (like most of the hostels do). The host was super helpful the minute we walked in. Mapped out a perfect walking tour then gave us discounts on tours and admission fees to sites. Great location next to sites, restaurants and shopping. Rooms were clean, cozy and quiet. Pool table on the second floor. Would stay here again and recommend it to anyone. As mentioned, location was good, near the walking street with lots of good food. A few scenic spots were within walking range too. Bathroom was clean and wifi strength was good. 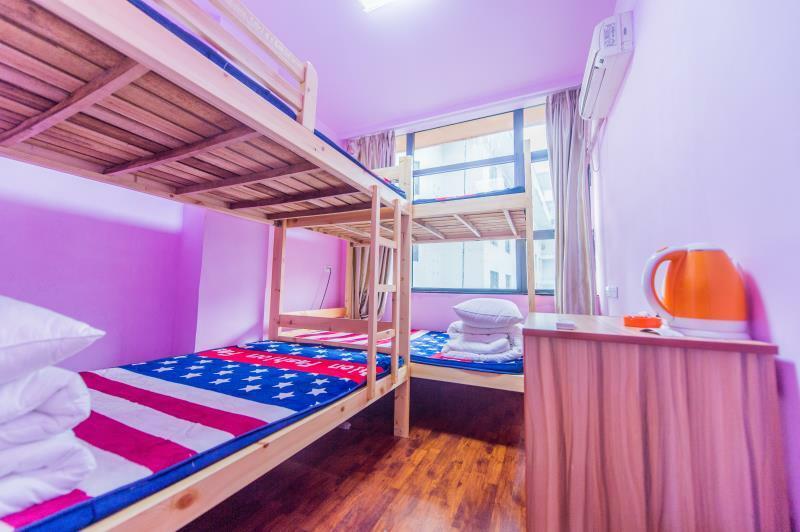 Pros: great location, clean, 24 hour front desk, bike hiring, laundry services ( ¥10 per machine load), spacious room, proper bathroom, close to public transport, snooker/pool table room, drinks available for sell, very close by the famous food streets and Li Jiang River and plenty more.... Cons: can't find any for the price we paid through Agoda ... perhaps the outside look is not that fantastic but hey it's not a Five Star hotel and no one is paying the 5 star "grand" look/appearance so we don't really care the look outside as long as the room is spacious and clean. Reminder: Make sure you let the front desk know if you require room service. We initially booked for 2 nights through Agoda but ended up staying 5 nights because of the location and the room is bright and clean. Best value for our money in the city. 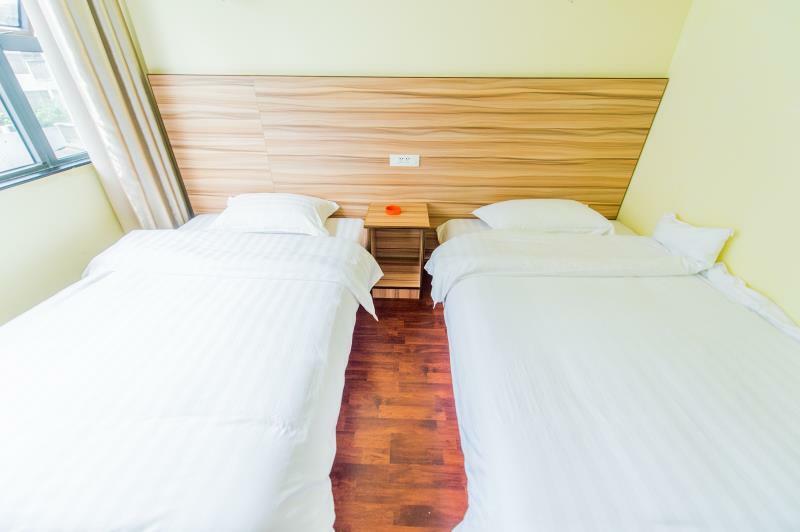 It's right in the central city of Guilin, very handy to catch the public transport, 2 minutes walk to the famous Li Jiang River and food streets, 24 hour front desk, etc etc..... 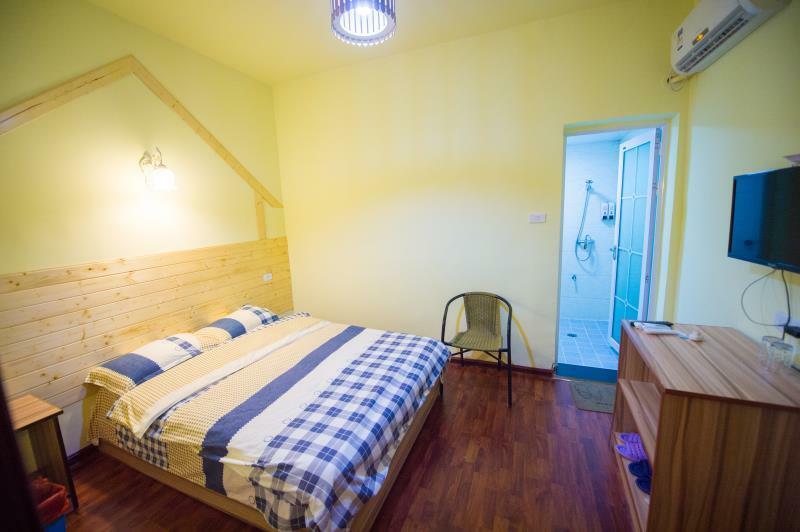 If you are looking for a clean place to stay I would highly recommend Memory Hostel - fantastic value for money, even better book through Agoda App compare to other booking Apps. I would definitely come back to this place. I always look for a central location n found Memory was on a Main Street with lots of food and shopping available plus the main bridge over the Li River. Buses from the station were very close and they had a good sign out front (it is down a short alley). Really friendly staff with some English. Lots of info about tours too. I enjoyed. Bon rapport qualité/prix. Staff très sympa. Parle bien anglais. Donne de bons conseils et nous fait les réservations à prix réduit pour certaines destinations touristiques. Hotel que por fuera no da buena impresión. Pero esta bien dentro a una muy buena relación calidad precio. Limpio ; tranquilo; Muy bien ubicado y con lod servicios necesarios . En el corazón de Guilin. Cerca de todas las atracciones turisticas caminando . La única que visite en bus fue red flute cave. (Lugares "turísticos tema aparte...). En recepción de 9 am a 19hs hay un encargado del hotel que habla perfecto inglés y super predispuesto a ayudar en todo. Es Ex guía de turismo y viajero . Merece la pena conocerlo. Σταθμός Λεωφορείων Guilin στα 1.91 χλμ.